2,500 cyclists from around the world took part in the UCI Gran Fondo World Championships around the lakes near Varese. There were two courses, a Medio Fondo for women over 50 and Men over 60 that was 105 km with 1,450 m. of climbing, and Gran Fondo for the younger age groups was 130 km long course with 1,950 m. of climbing. Look at the race course on Google Maps. Blue marker icons where the climbs start and yellow marker icons where the climbs end. Below you can read the route description and what it's like here. The race is over a rolling course with no steep sections or long climbs. 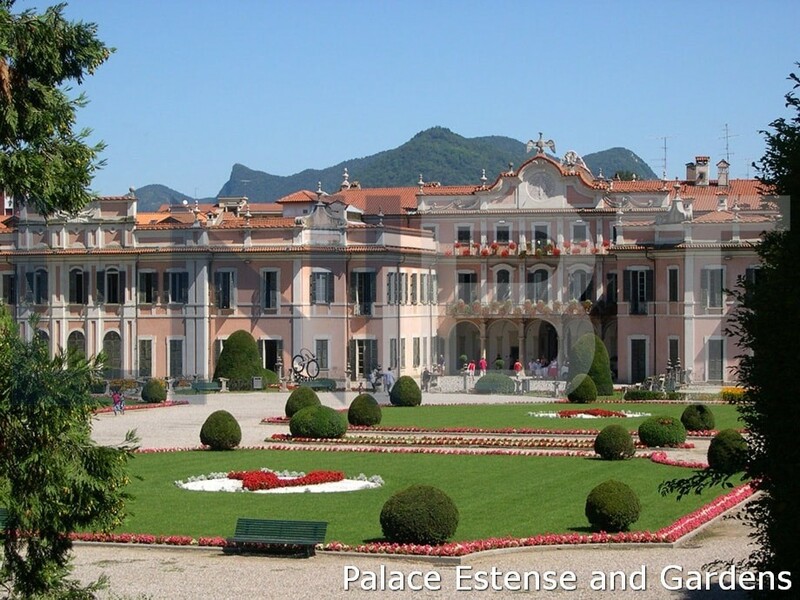 The route starts and arrives in Varese close to Palace Estense and its Gardens. Palace Estense is now Town Hall and houses the civic administration of the local municipal council. The race course is winding, among the Lake Lugano, Lake Maggiore and Lake Varese and you have to to tackle several climbs: Alpe Tedesco, Ardena, Montegrino, Villaggio Olandese, Brinzio and Casbeno. You have to tackle six climbs in the long race course and four climbs in the short race course. Climbs and descents are generally narrow. (See photos below). The decisive part may well be the Casbeno short climb in the last few kilometres between Lake Varese and the finish line. Before Lake Lugano, there is the first and the biggest climb of the day: Alpe Tedesco climb (a 4.7km climb averaging 7% - 8% with some tight hairpins). 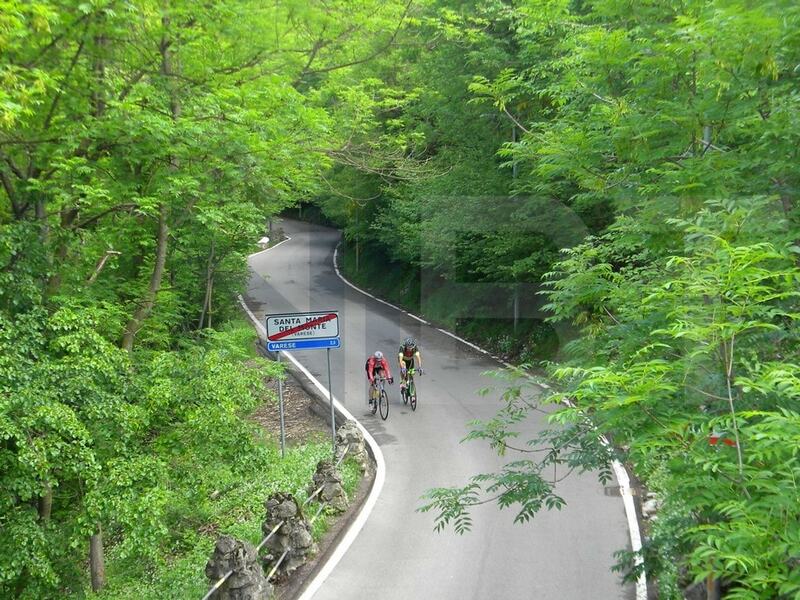 After a descent to the Lake Lugano you climb back out along Ardena climb (a 3.2km climb averaging 6% - 8%, the first part of the climb is steeper than the second half) and then race along the Montegrino climb (a 1.8km climb averaging 6% - 10%) before descending to Lake Maggiore. 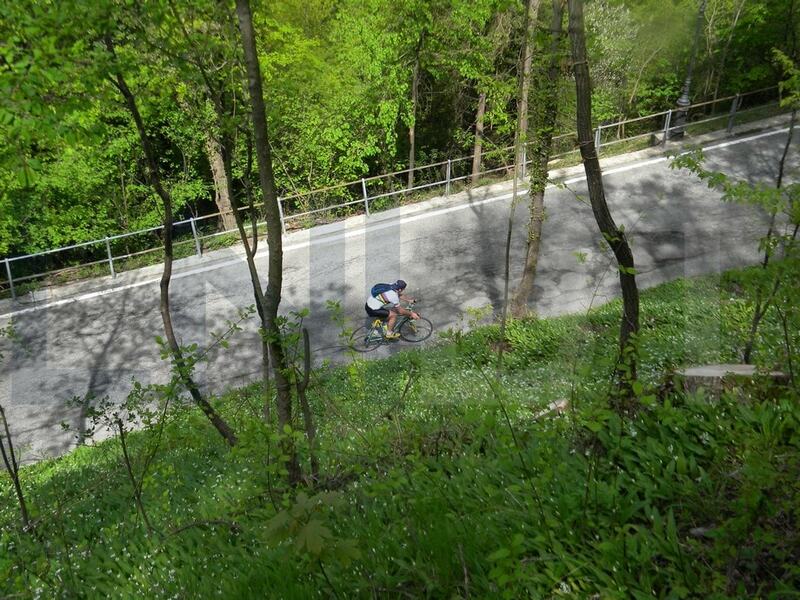 You have to tackle two other short climbs: Villaggio Olandese climb (a 2km climb averaging 8% - 10%) and Brinzio climb (a 5.2km climb averaging 3% - 8%, the first 4km of the climb is a steeper than the second part) before descending to Lake Varese. As soon as you see the Lake Varese there is a long flat section and then a key final climb in the last few kilometres: that's Casbeno climb from the Lake Varese to downtown Varese (a 3km climb averaging 6% - 8% through the town). The finishing straight is quick and flat making the last climb decisive. You also have to tackle two short sectors of pavé. 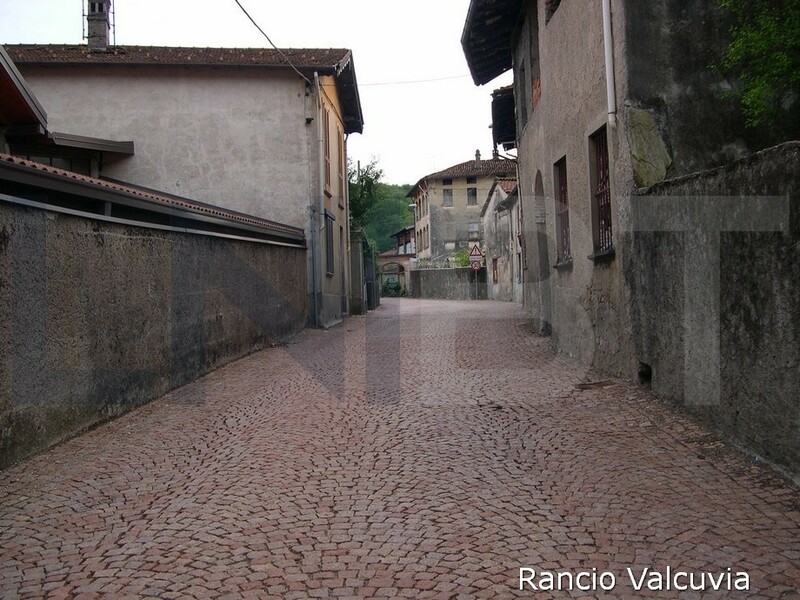 The first one at Roggiano Valtravaglia and the second one at Rancio Valcuvia. 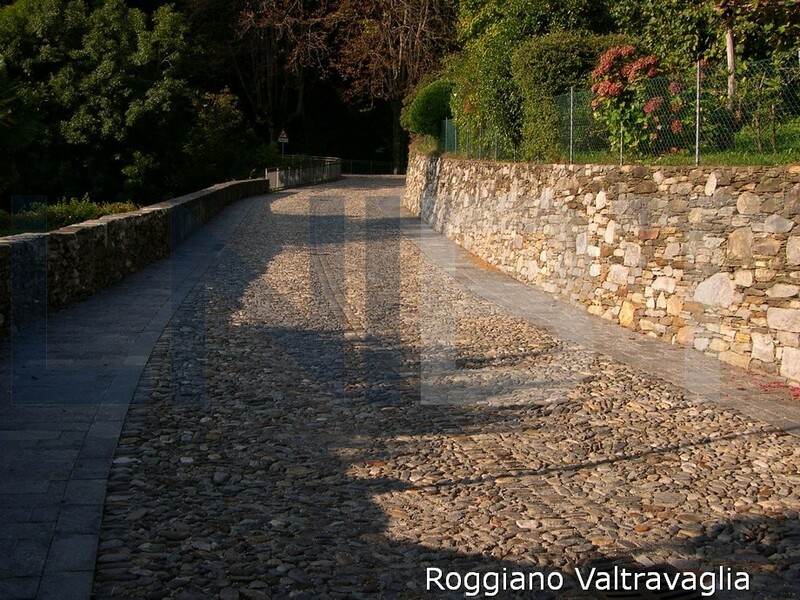 Varese is also known for cycling having organised the UCI Road World Championships in 1939, in 1951 and in 2008. Sometime the Giro d’Italia stops off or comes through the area. The region also hosts the annual Trofeo Alfredo Binda - UCI Women's Road World Cup at Cittiglio and the annual Tre Valli Varesine - UCI Europe Tour. While Varese is the heart of the Gran Fondo World Championships, the Northern Italian Lakesstrong> have a lot more to offer road cyclists if you’re coming here to explore the mountains, valleys and lakes by road bike. Riding through the area around our Lake District hills is a great experience. With each twist and turn of the road bringing a new sight to see. Charming small villages, stunning landscapes and long, flowing descents all making the riding in this region like no other. Ancient villas, parks, churches and hermitages which were built from 16th Century to the 19th Century, exibitions, history, art, culture. From Varese (381 mt. a.s.l.) or from Lake Maggiore (193 mt. a.s.l.) the intrepid cyclist can reach some local climbs: Passo Cuvignone (1,036 mt. a.s.l. ), Alpe Neggia (1,395 mt. a.s.l. ), Monte Campo dei Fiori (1,217 mt. a.s.l. ), Sighinola (1,302 mt. a.s.l. ), Monte Ologno (1,129 mt. a.s.l. ), Monte San Martino (1.079 mt. a.s.l. ), Monte Generoso (1,202 mt. a.s.l. ).The roads are quiet in the mountains and side valleys, but they can be very steep. What are the UCI Gran Fondo World Championships? They are a one-day road bicycle races and they are held every year. This event is split by gender and into age groups from 19 to 75+ (10 group for men and 8 group for women), with a rainbow jersey awarded to the winners of each group. It’s described as a ‘mass participation championships’ in that you have to earn your place, but doing so requires only that you finish in the top 25% of your age group in one of 22 qualifying events worldwide known as UCI Gran Fondo World Series. The UCI Gran Fondo World Series is a series of UCI sanctioned road races held all over the world. Throughout the season, 22 events qualify the top 25% in each age group for the UCI Gran Fondo World Championships. The age group winners of the UCI Gran Fondo World Championships are awarded the UCI rainbow jersey. The qualifier events are open to riders of all levels: those who aim to make the podium and others who wish to cross the finish line in the best possible time. E.g. 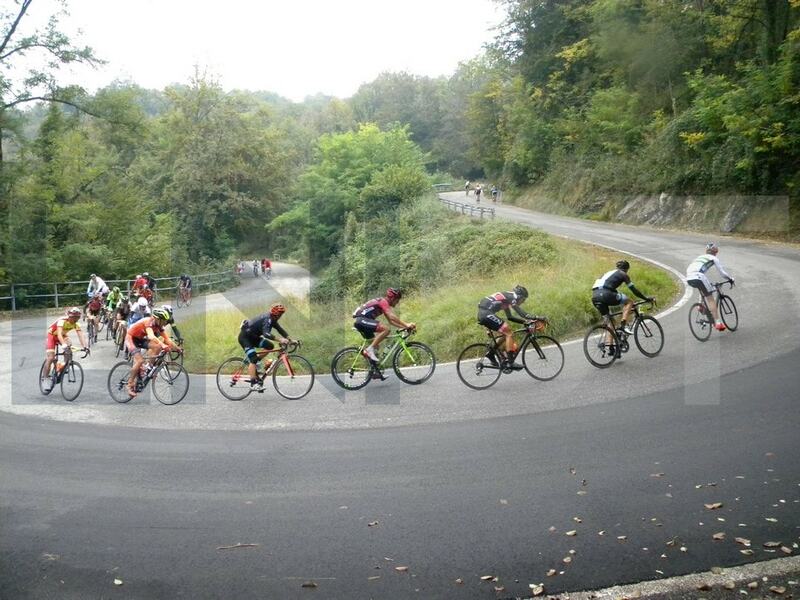 Every year in autumn Varese hosts the Gran Fondo Tre Valli Varesine World Series. Men categories: 19/34, 35/39, 40/44, 45/49, 50/54, 55/59, 60/64, 65/69, 70/74, 75+. Female categories: 19/34, 35/39, 40/44, 45/49, 50/54, 55/59, 60/64, 65+. Find out more about the Best Tourist Attractions and info around Lake Maggiore, Lake Lugano and Varese.